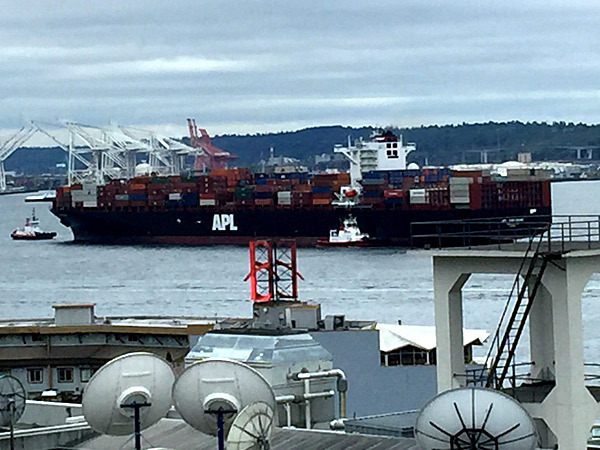 An American President Lines cargo ship heads into the Port of Seattle for unloading Monday. Seems like fewer of these big ones have been around this summer. Love watching those tugs pull them in. Apparently they are powerful enough they could rip off the front if they accelerated too much.